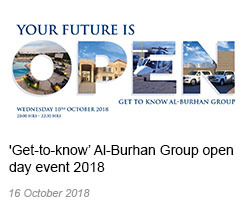 Al-Burhan Group has announced that it is at the final stages of constructing a new expansion to its accommodation Centre near Baghdad International Airport. The new ABG building is scheduled for completion in September 2013. 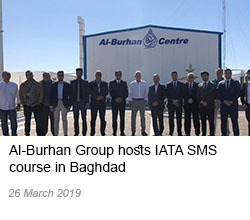 Located near BIAP, the new facility combines excellent accommodation space with amenities and access to Baghdad and transport links to the rest of the world. 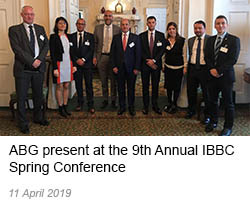 The project will meet the great need for more space to complement its existing accommodation centre, which can no longer support the variety and size of ABG's extensive programmes. The centre consists of 148 en-suite rooms equipped with Wi-Fi internet access, satellite television and full domestic services. The facility also incorporates the dining hall, conference rooms and the main administrative offices. The centre is fully self-sufficient in terms of power and water provided by dedicated generators and pumps on-site. The safety and security provided by Serco personnel is a primary factor of the centre, with it fully covered by CCTV cameras, biometric access systems and concrete perimeter walls. 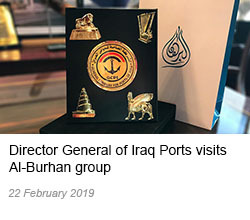 The project reflects ABG's sincere endeavours to attract international companies willing to come and work with Iraqi Ministries and Departments in commercial investment projects.